Matthew William Beatty is an ISA (International Society of Arboriculture) Certified Arborist, born and raised in the Carolinian forest region of Ontario’s Lake Erie North Shore. He applies his degree in Environmental Horticulture to a career in managing and maintaining urban trees of the Greater Vancouver region. As an Arboriculturist, some of Matthew’s daily professional duties include tree risk assessments, ornamental pruning, hazard tree maintenance/removal, integrated pest management, soil management, and installation of tree-support systems. Matthew is also dedicated to exploring the diverse ecological systems sustained in canopies of old trees. 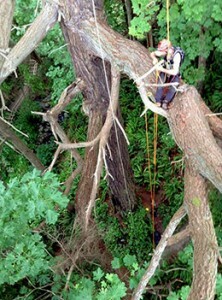 He works in collaboration with other tree climbers and organizations such as the “Ancient Forest Alliance” who share the common interest of advancing old-growth ecological research. 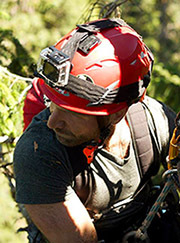 Using low-impact rope access and modern ecologically-ethical climbing techniques, Matthew and other avid climbers and naturalists explore and expose the importance of the biologically rich and stable environments associated with ancient trees.